These PVC leaflet dividers allow for a combination of pocket sizes to be created from an existing dispenser to provide more flexibility. They can be made to suit most depths of pocket from both standard and bespoke units. 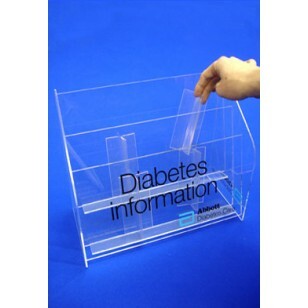 Allowing you to divide your dispenser to suit your leaflets means there are no limitations. If you decide to change your literature in future these will allow you more options.